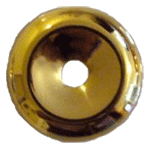 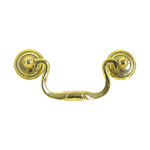 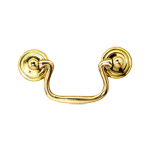 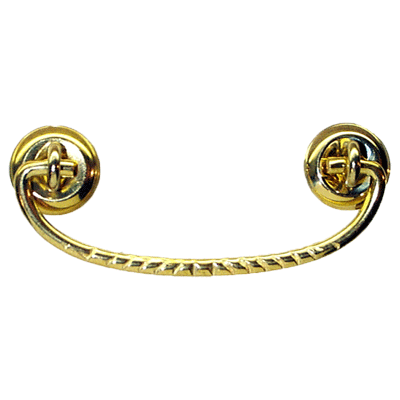 This stamped brass rosette bail pull with wrought brass handle is simple and versatile. 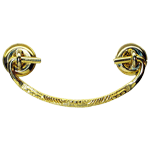 This bail pull is traditional and decorative making it perfect for dressers, desks or other drawers around the house. 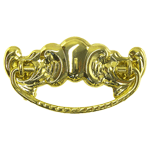 This item is $2.38 when your order exceeds $250 before shipping in qualifying items.